Two books made him famous: “ Soul mountain” (2) and ” One man’s bible” (3), he is also admired for his theatrical work, fifteen plays played around the world and a wonderful opera “Snow in August” (4) presented in Taipei late 2002 but also in Marseille in 2005. He has always devoted much of his time to painting, a spectacular approach with ink wash; numerous exhibitions are held, recently in Brussels / Ixelles. Gao Xingjian is also a man who joins no organization, no party and does not meet the criteria in vogue in the media. Several collections of dialogues and theoretical texts were published; an important thinking about the role of the artist in our world, the position of the writer, visual arts, the play of the actor … the basics of ” another aesthetic” (5). He wants to do something different from fiction films and documentaries; he is not ready to make concessions to be financed by the system and distributed through commercial channels. Apart from his first film, funded as part of the “year Gao Xingjian” in Marseille (2003), it is the income from his painting which will allow to produce the following two films. 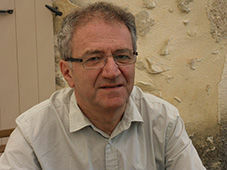 These films are presented at art exhibitions or retrospectives at universities but outside the traditional distribution. The filmmakers he admires are known for their aesthetic research: Eisenstein, Tarkovsky, Bergman, Antonioni … While most films are action films, he wants to use the ressources of cinema for perception. He creates cine-poems. “If writing a film script is as free as creative writing, it is released from the structure, the obligation to create a story, write dialogues and comments, film will be like literature, as rich and diverse. ” (5 p.162). He wants to create “a movie with the three principles where is established the autonomy of image, sound and language that complement each other … it produces a new meaning” (5-p. 159). Cinema is not entirely dominated by the image. Music has an autonomous function; connections between music and editing are different from those between Eisenstein and Prokofiev. Language can be a poem as “the wandering bird,” a free verse poem written in French for his first film “The silhouette/shadow” (2006). A film about 1 hour 30 on freedom and death; a man in a deserted town with his memories. 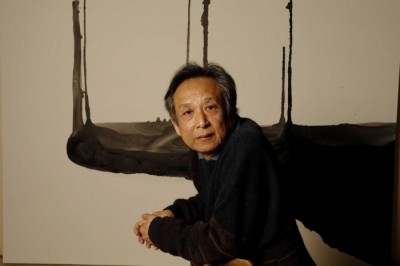 Relations of Gao Xingjian with color are complex; his paintings in ink wash do not include colour. In “The silhouette …”, color is meaning, it is full or light in a film that is moving in its last sequences to the imaginary black and white. The color has a meaning as in “Pierrot le Fou” or ” Red Desert”. In his second film, “After the Flood” (2009) with his paintings in Chinese ink when the flood threats human life, color is introduced lightly and at the end to show that there is still hope. In ” Requiem for beauty” his third film, color is everywhere hot or cold but lights and not colour have a structuring role. Music is essential in “ Silhouette …” with the work of Xu Shuya and excerpts from “Requiem for a Young Poet” by Bernd Alois Zimmerman with different languages ​​and voice of inflamed dictators. Mass in B minor by Bach comes in counterpoint. The sounds and noises play a major role in ” Requiem …” but works by Mozart, Vivaldi and Monteverdi are, in my opinion, less adapted to changing images. “Merge literature, theater, dance, painting, photography and music is transforming cinema in total art” (5 p.163). The film, almost two hours, completed in 2013, is intended as a critique of consumer society, oppression, but also of contemporary art that makes a clean sweep of the past. But art can not be in the service of fashion, politics or market. Gao Xingjian took seven years to write ” Soul mountain”, a comparable period will be needed to have this film completed in 2013. The images from around the world: New York, Seoul, Tokyo, Hong Kong, Singapore and also Paris and London and especially Venice. Forty actors, dancers, acrobats, participated in the film and for some at no cost; many different nationalities in a period of globalization. The poem and words in French, English and Chinese are very evocative even if they are used as little as possible but always in search of counterpoint with the image. There is no subtitle because for him it disturbs the image. Venice and its carnival figure prominently in the film; a meeting place where masks and architecture are essential. Gao Xingjian mocks some contemporary architectures; for him the artistic and historical references should not be forgotten. The relationship with the actors are important and Gao Xingjian was very insistent in “On creation” on the play of the actor: “The whole body: the attitude, posture, hand position, gesture, rhythm, style, form the basic vocabulary of acting “(p.124). Gao Xingjian will be present at the Poetry Market on Place Saint Sulpice in Paris on June 12 next and in the House of Poetry (6) on June 24, when an evening will be dedicated to him with a dialogue organized by Noël Dutrait and Nicole Gdalia ( Editions Rencontres) with a showing of his film . 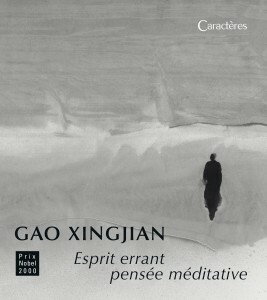 (1) Gao Xingjian, “Wandering Spirit, meditative thought,” complete poems, translated into French by Noël Dutrait. Editions Caractères 2016, 176 pages, 32 euros. (2) Gao Xingjian, ” Soul Mountain”, translated by Noël and Liliane Dutrait. Editions de l’aube, 1995. 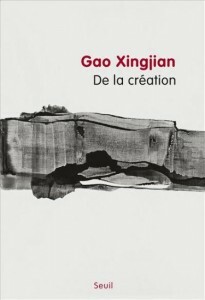 (3) Gao Xingjian, ” One man’s bible”, translated by Noël and Liliane Dutrait. Editions de l’aube, 1999. (4) Gao Xingjian, “Snow in August”, libretto by Gao Xingjian, music Xu Shuya. Marseille Opera / Actes Sud, 2015. (5) Gao Xingjian “On Creation”, Le Seuil, 2013, 320 pages, 23 euros. (6) House of Poetry. Passage Molière, 157 rue Saint Martin. Paris 75003.